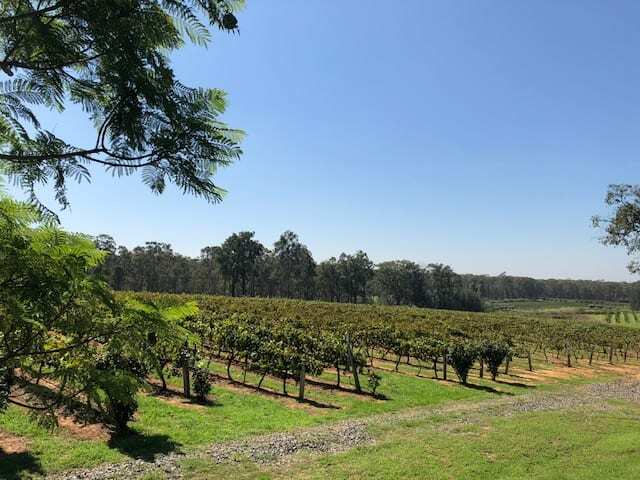 Things to do in the Hunter Valley with kids (that don’t involve wine)! 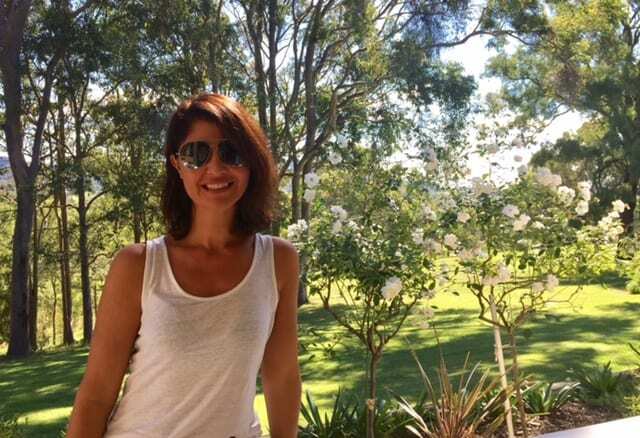 Over the Easter Long Weekend I organised my family a little holiday in the glorious Hunter Valley. We stayed three nights from Friday night. 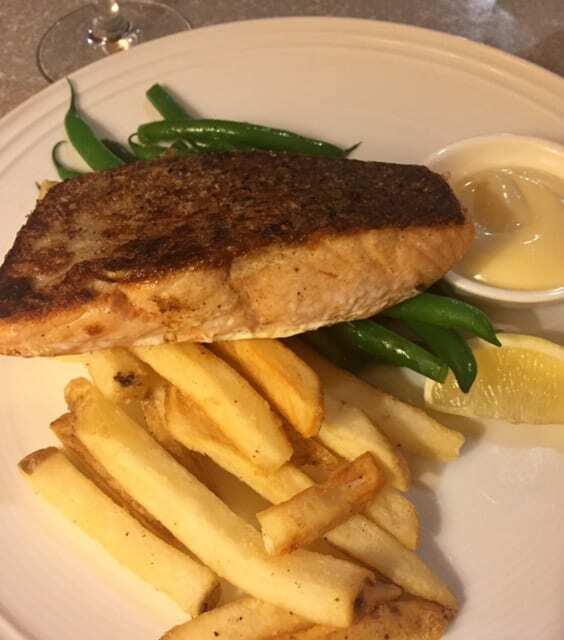 I was a little nervous as I’ve only ever visited the Hunter for wine-tasting and fine dining and I wasn’t sure there would be enough to keep my kids (11 and 12yrs) entertained, especially since I banned all their devices accompanying us on our family holiday! 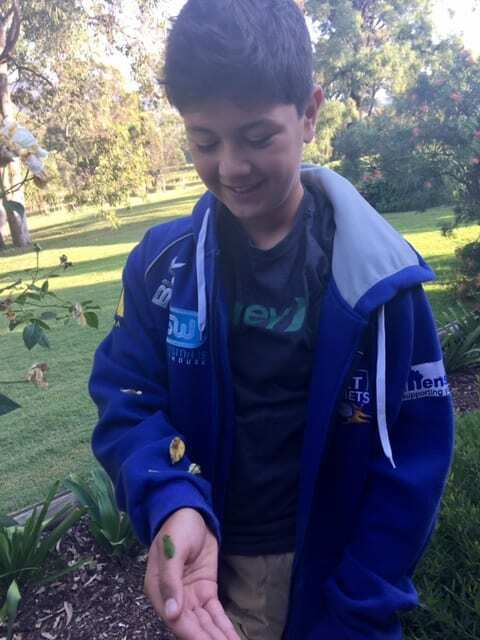 Doing my research paid off and I can safely say that it was one of the most enjoyable short breaks we’ve had and I highly recommend it for kids of all ages. 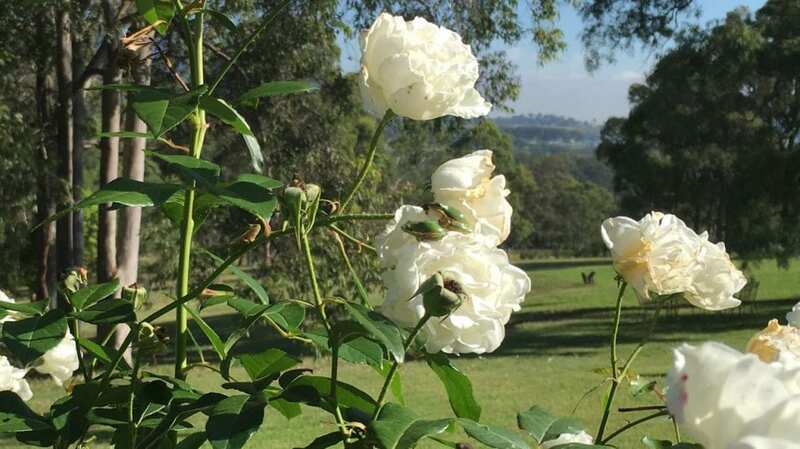 Elfin Hill is a gorgeous, quaint, tasteful property in the heart of Pokolbin. It was within perfect proximity to all our attractions, yet offered the beauty and tranquility we all craved for some down time. The weather was perfect the whole weekend and on arrival the kids enjoyed a refreshing dip in their rainwater pool. 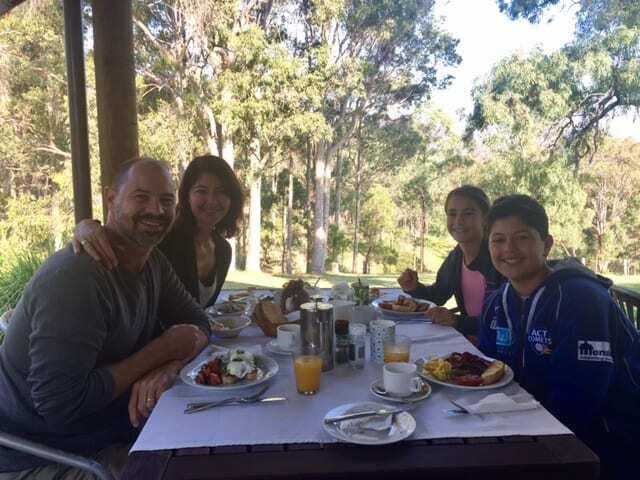 Our hosts were warm and welcoming and the breakfast they provided for us was simply delicious. Here I am looking happy because well, look at those Elfin Hill grounds! Chillaxing in the common area with a view. 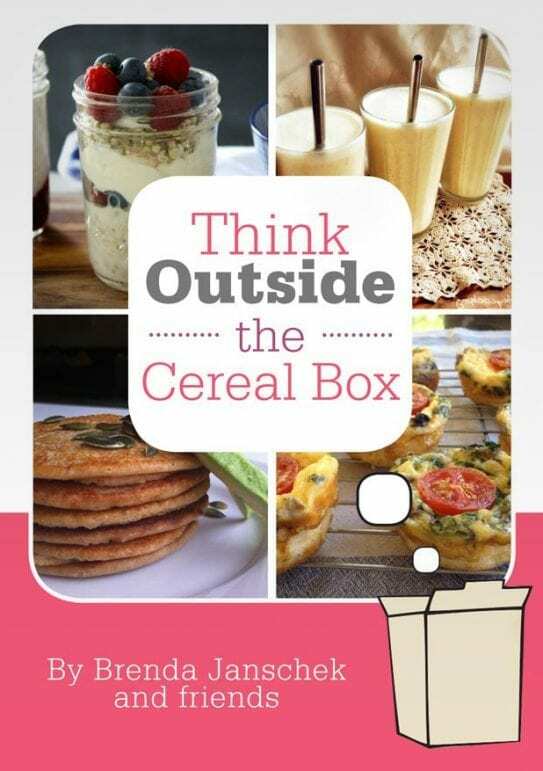 Crisp and sunny breakfast each morning. A Continental breakfast was included in the price. 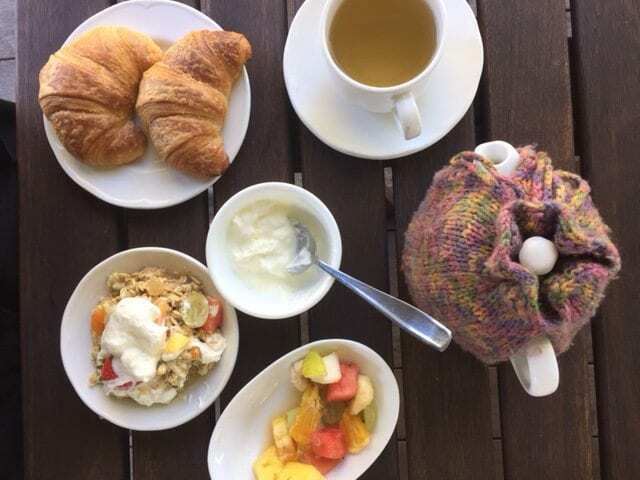 With offerings like delicious bircher muesli, almond milk chia seed pudding, yoghurt, fresh fruit, croissants with home-made jam and green and pear tea. 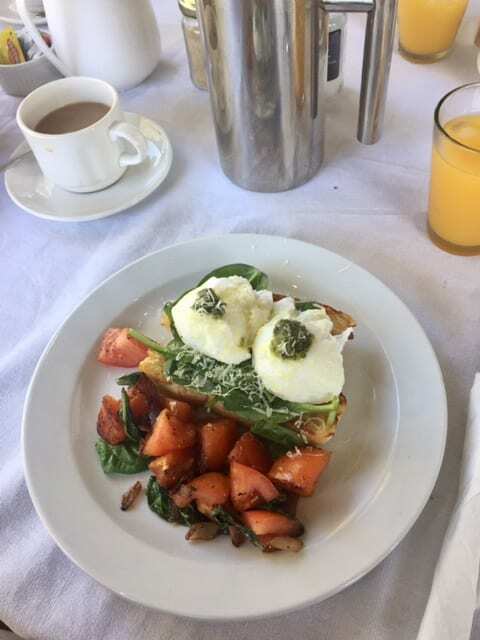 Cooked breakfast options like this Breakfast Bruscetta are available for an extra price. 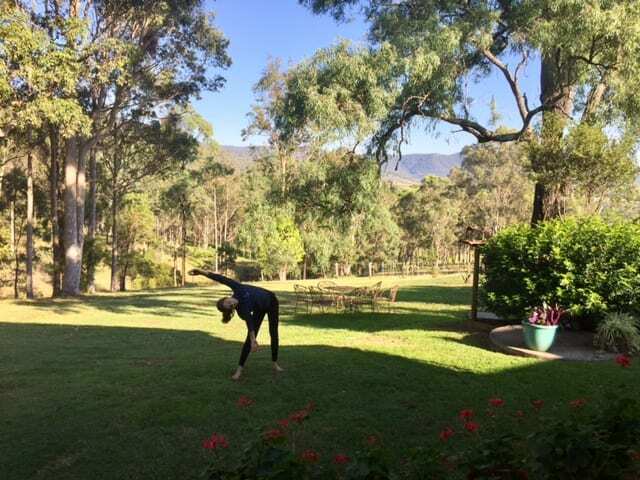 Lots of space for morning stretches. 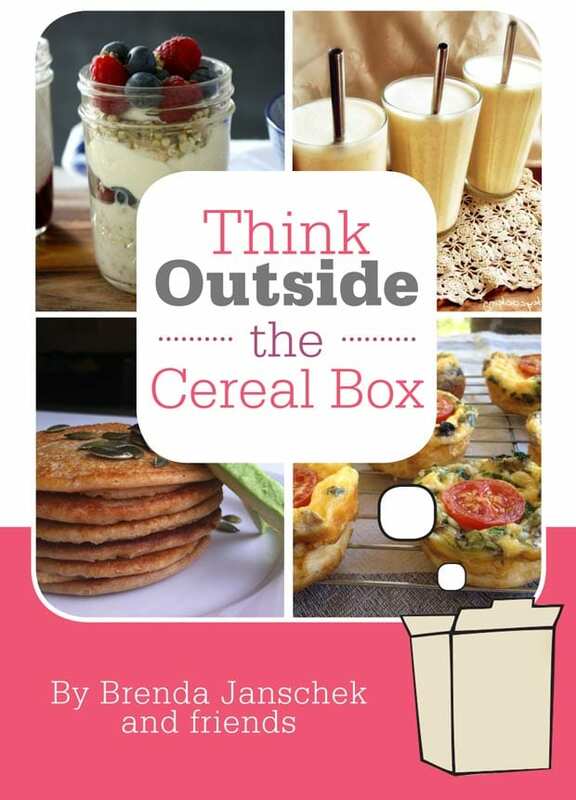 … with adorable, tiny frogs living in them! 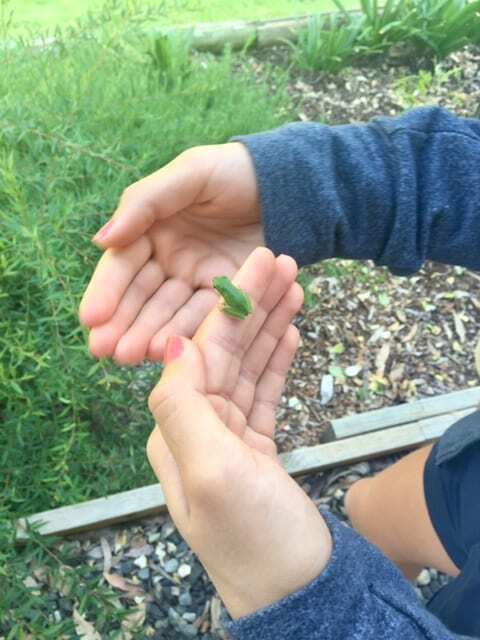 The kids were enamoured. 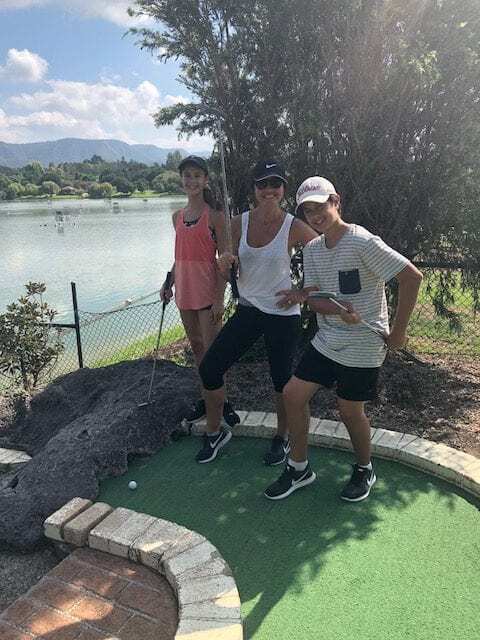 On Saturday my golfing boys enjoyed 18 holes at The Vintage . 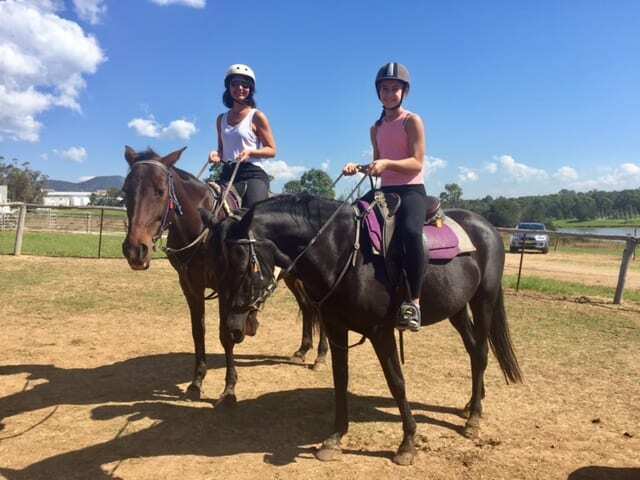 While the girls went horse riding at Hunter Valley Horses. 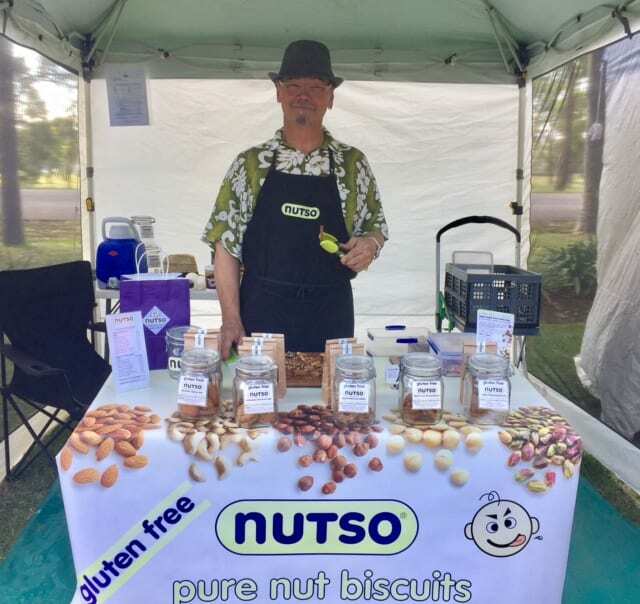 …where we discovered this stall Nutso with THE BEST allergy free cookies. 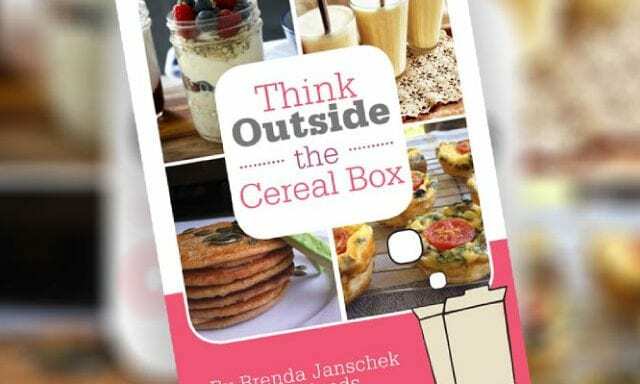 Gluten and Dairy Free and made with lots of organic ingredients too. We bought a packet of almond fig & ginger biscuits. They didn’t last long! 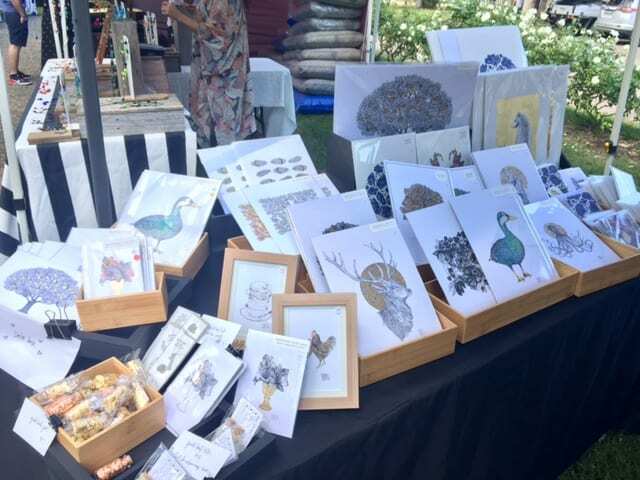 My daughter loved the art stall below where the lovely stall holder, Vanessa from Apothecary Artist, taught her all about gold leafing. The little gold leafing kit we bought occupied her for hours once we got back to our accomodation. 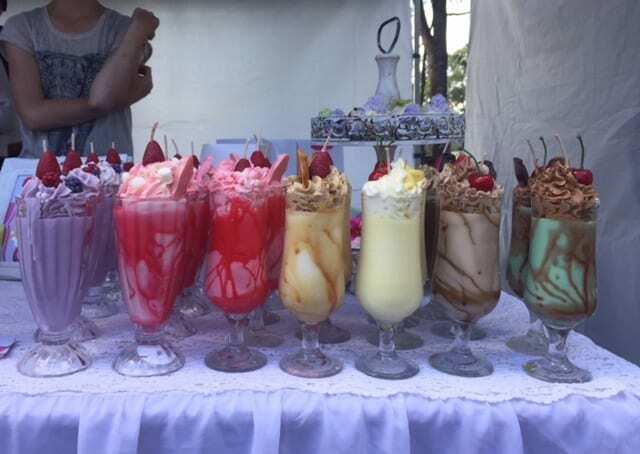 These smoothies were so much fun, we couldn’t figure out what they were exactly! They are actually candles made by Sweet Wicks Candles and they smell just like the smoothie they represent! I shudder to think of all the chemicals used to create these, but honestly, the joy they brought everyone who happened upon them, including us! 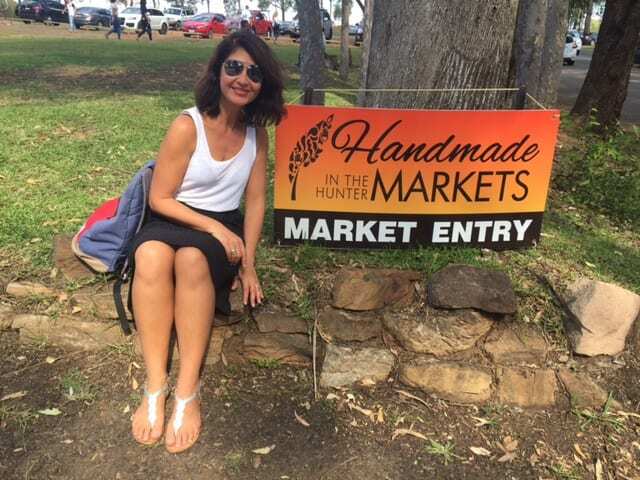 The markets were small, so we only stayed for a short while then headed to the Hunter Valley Gardens for some lunch and an afternoon of strolling around the stunning gardens. 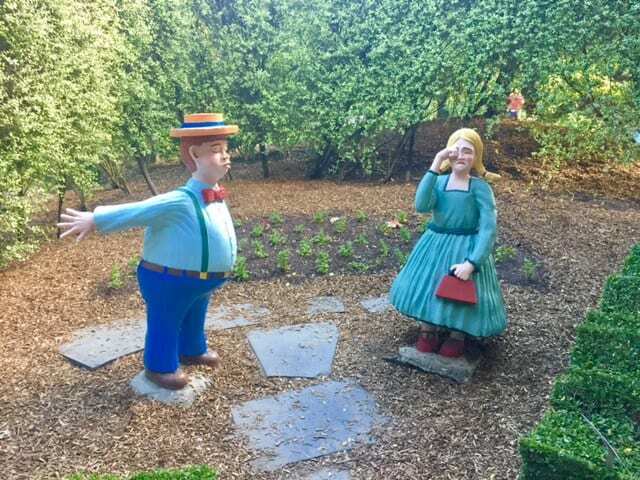 My favourite gardens were the Story Book Gardens, such fun for young and old alike. Brought back so many childhood memories. 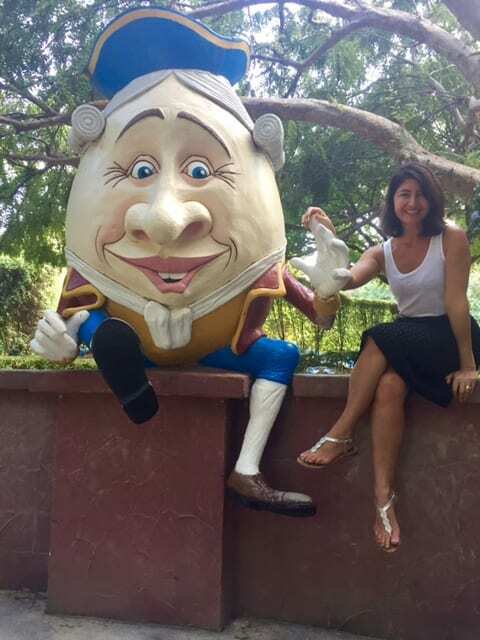 Check me out with Humpty! Georgie Porgie pudding and pie, kissed the girls and made them cry ? 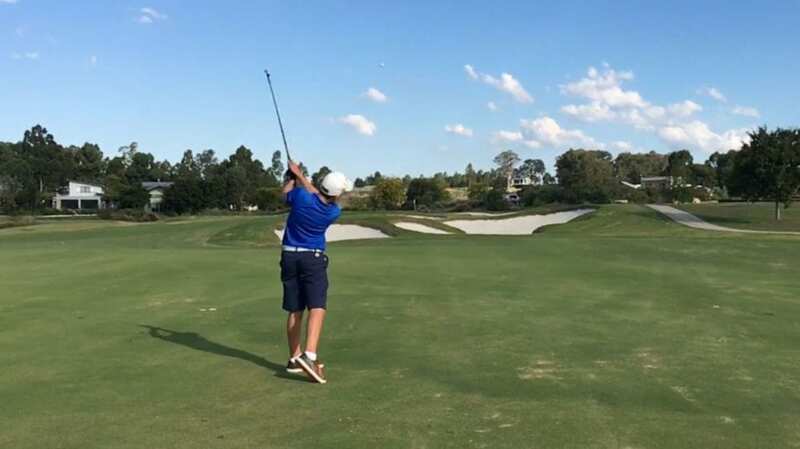 And while my son is an avid golfer who plays off a handicap of 8.8, he’s still completely obsessed with putt putt! 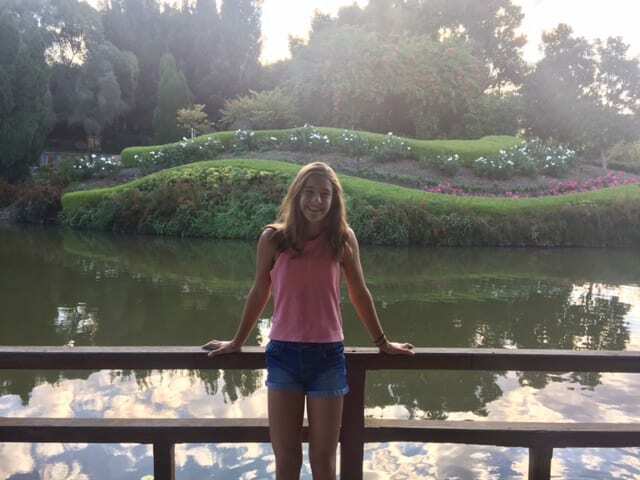 There is a great spot for putt putt and aqua golf at the Hunter Gardens. Fun for the whole family. 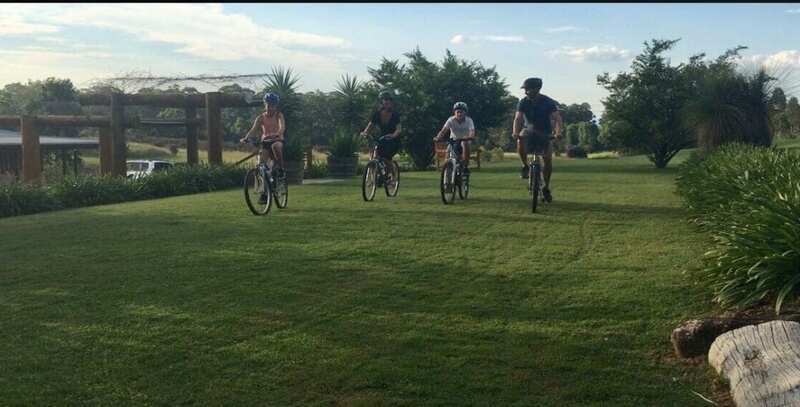 Greatest idea ever is hiring bikes from Grapemobile Bicycle Hire cellar door in Pokolbin and cycling around the dirt tracks to visit some wineries. NB: If you have younger kids you can hire a tag along trail bike and baby seats. 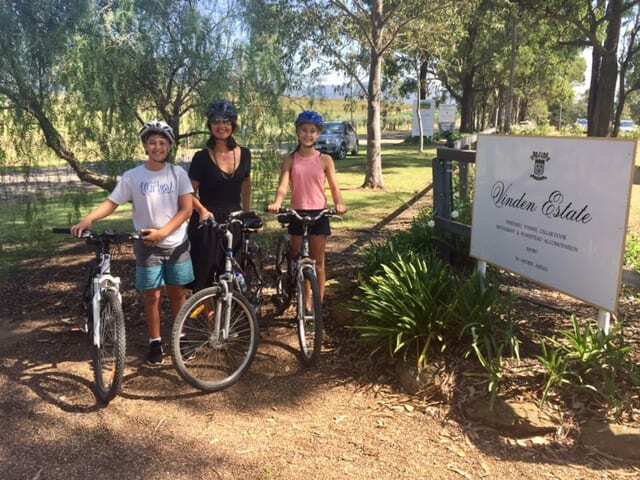 My kids had an absolute blast cycling the day away, and hubby and I got to stop into 5-6 wineries, to find some previously undiscovered gems like Worthington’s and Calais wines. 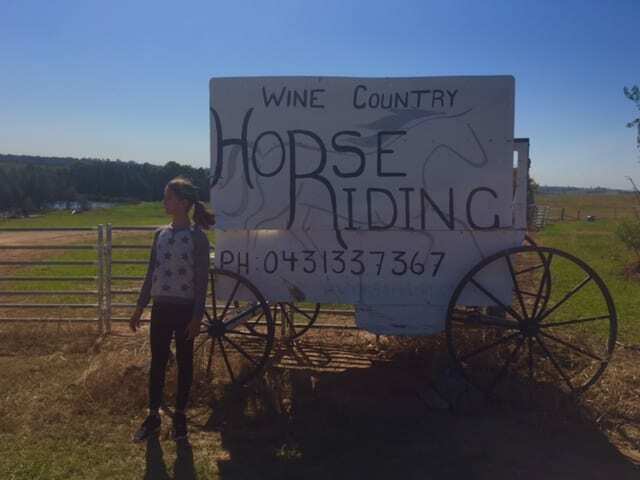 Best Part – you can order wine from most of the wineries on the bike tour, and they deliver them back to Grapemobile where you can collect them when you return your bike, pop them into your car boot or onto Grapemobile’s complimentary return bus service. Worthington’s Vineyard where we tasted some delicious semillions. Love this space. 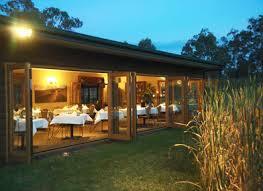 Scarborough Wines are well known to us, but we’re glad we stopped in because the service here was impeccable. 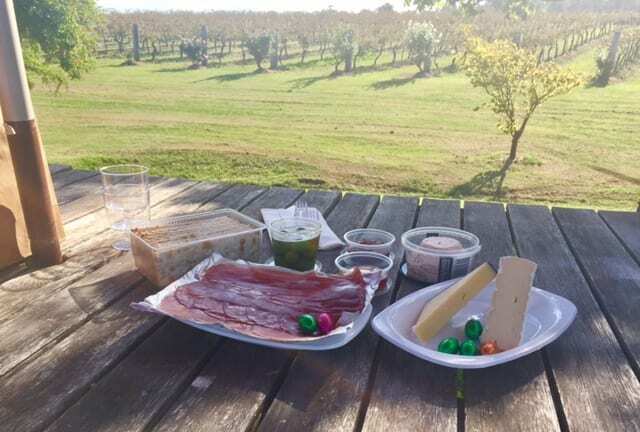 The staff sat us down on the verandah with sweeping views of the vineyard and served us a cheese and dried fruit plate whilst pouring us endless wine to try. 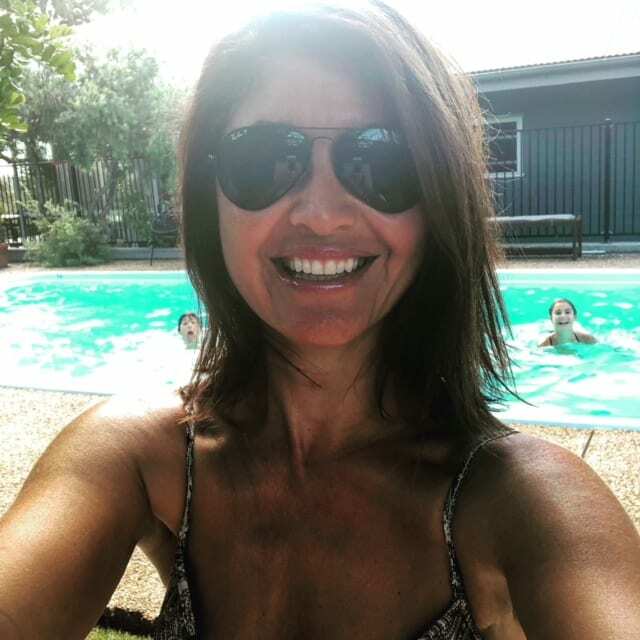 All the while the kids played on the grass with all the apparatus provided like hula hoops, balls, ….needless to say we ordered a case of our faves to be sent back home to us in Sydney. Cheers! 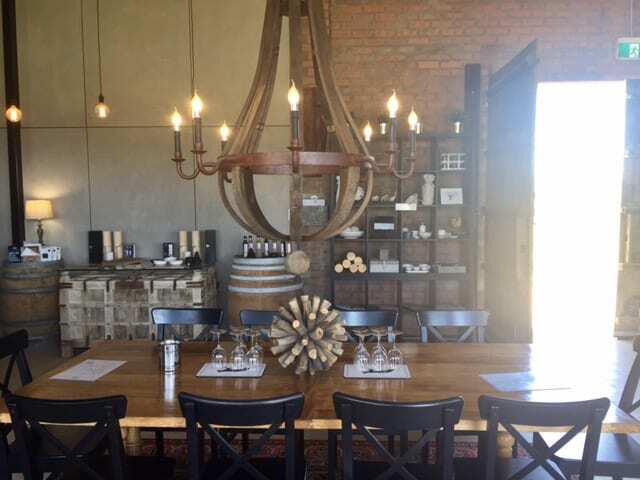 The chardonnay at Calais Estate was a revelation and the Gourmet Picnic Hamper we purchased from there and enjoyed on the vineyard certainly hit the spot for the four of us after a long day of cycling. 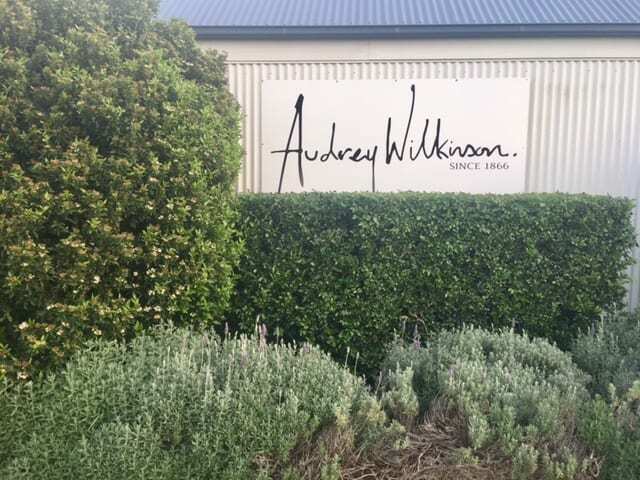 We had picked the bikes up at 11am and by 4pm the kids were exhausted, but with Audrey Wilkinson closing in half an hour, we returned the bikes, jumped in the car and zoomed over to taste some of the best wines we’d tasted that day. Soaked in some of the best views too. 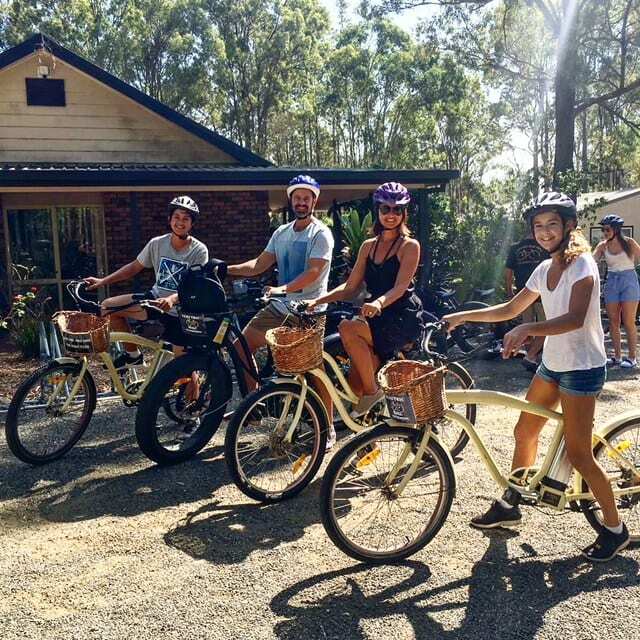 On our second Easter visit to the Hunter Valley, we found a different bike hire provider, Sutton’s Estate Electric Bike Hire, and this time were able to experience the amazing wineries, cheese shops, chocolate shops and restaurants by electric bikes (which made cycling up hills much easier for the lazier members of the family!). The views along the bike track they mapped out for us were honestly just so beautiful. They also offer on road servicing and can pick up and drop off from your accomodation on request, and also will run around and pick up all your wines and food for you to take back to your accomodation. Full of beans at Sutton’s Estate and ready for our bike ride winery tour. 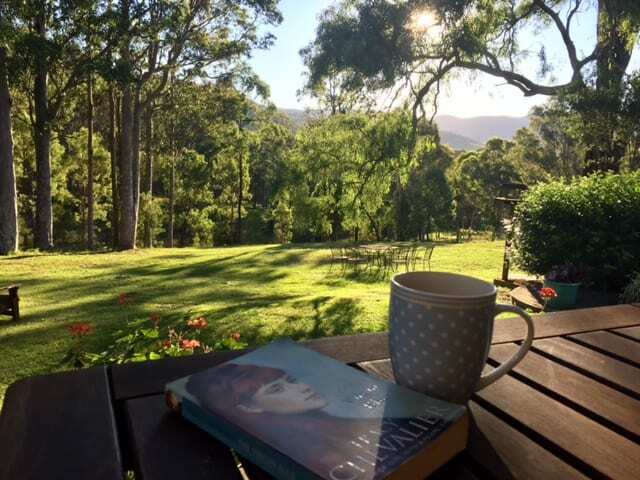 If you book Elfin Hill online then their continental breakfast is complimentary, so we didn’t really venture out for breakfast and really only dined out for dinner on two nights. 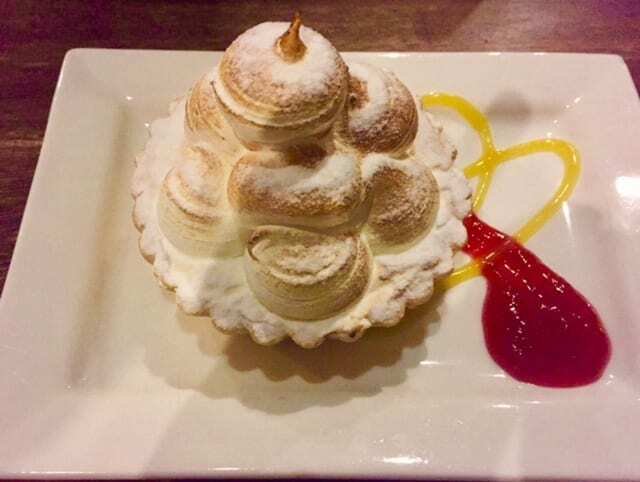 The aim was to find delicious local food, whilst avoiding the fine dining price tag. On our first night we drove 20 minutes to Lillinos Bar and Trattoria, because Italian is always going to be a winner with the kids. It didn’t disappoint. We had Gnocchi al Pomodoro, Pizza with Proscuitto, Roast Potato, Mushroom and Rosemary, Tagliatelle all Ossobucco and a lovely St Clements Merlot 2009 to wash it down. 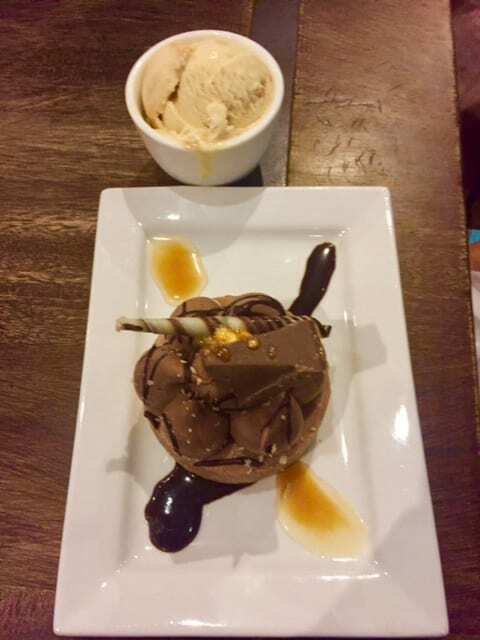 Now for the moment the kids had been waiting for, a visit to the Sabor In the Hunter Dessert Bar. This was planned as their Easter indulgence and it did not disappoint. I think the website and the photos below says it all! Toblerone chocolate cheesecake with vanilla bean ice-cream. Yep, you read that right! 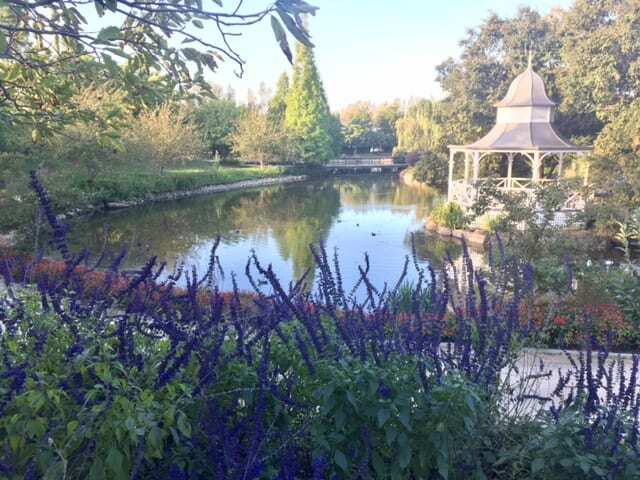 A newish restaurant to open in the Ben Eaton/Lindeman Estate, was Baume, pronounced (bow-may). A lovely family-style restaurant with large meals for everyone to share as you can see we did here. 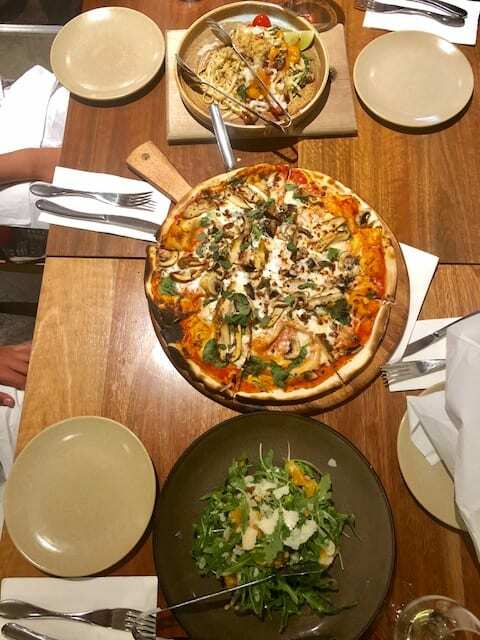 We ordered Saganaki Prawns to share as a starter (not pictured), and for mains, a 16 inch chicken and mushroom pizza plus spanner crab pasta and a delicious and fresh rocket, fennel, orange and pecorino salad. Yum! Highly recommend this place. 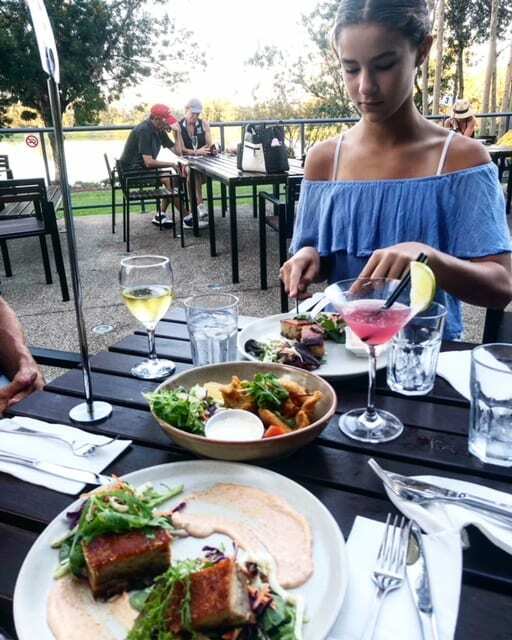 After my husband and son played 18 holes at Cypress Lakes golf course, my daughter and I joined them at the bistro for dinner. The vibe was super casual, with live music, a gorgeous view, and great food, everyone was happy. My daughter and I ordered the Pork Belly dish with Quince Aioli and Slaw (crispiest of crackling, this dish didn’t dissapoint), plus we shared a tender and super-tasty calamari. The boys had burgers which were some of the better burgers they’ve had. Prices were reasonable too. All in all this was a wonderful short break and we’ll definitely be back to do it again. 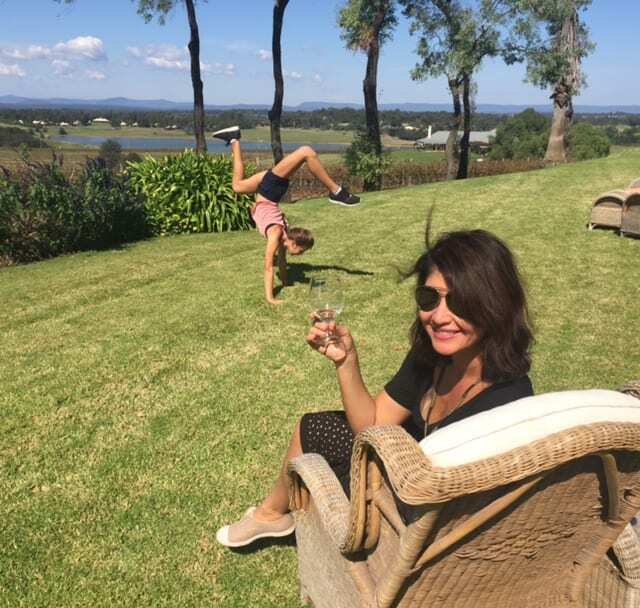 Have you been to the Hunter Valley with the kids? 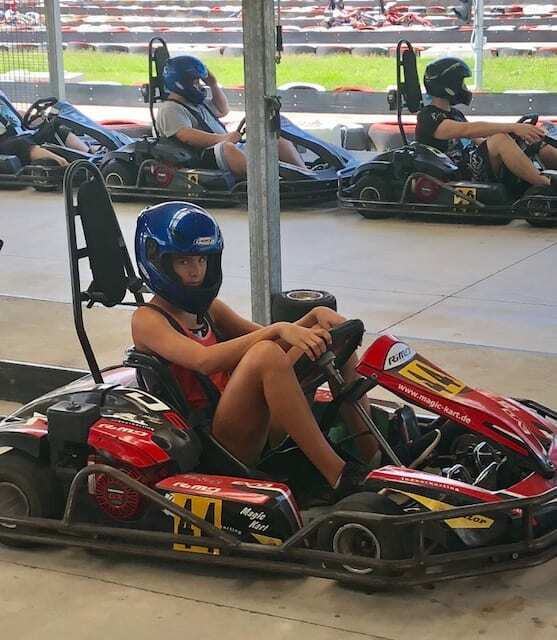 What activities did you get up to? Leave me a message in the comments.